Remember the high quality Chessett’s Wood development in Lapworth, which paid annualised returns of up to 13.8% after just 7 months? 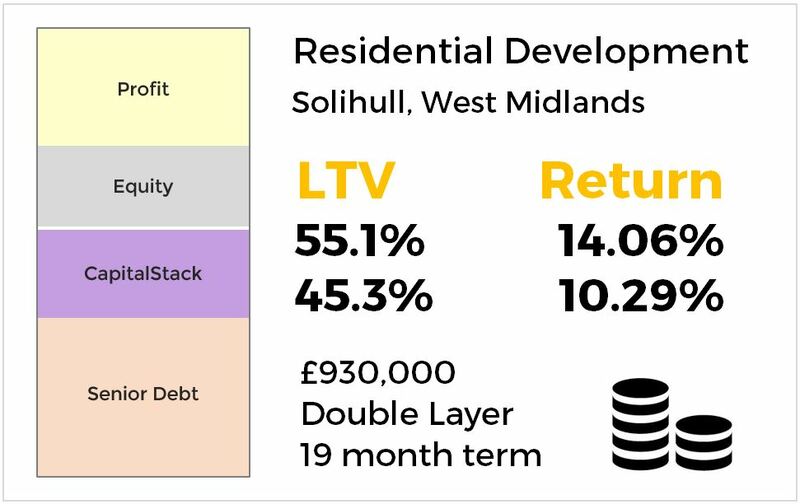 Or the luxury St. Bernard’s Road development in Solihull paying 14.06% on a very reassuring Loan to Value (LTV) of just 55%? Well, for those who happily capitalised on those – or even those who missed out – CapitalStackers is pleased to offer a third opportunity to invest in the same highly respected developer – Avalanche Capital and their joint venture construction partner, HCD Developments. It’s our strong belief that HCD’s distinctive quality of workmanship is a key factor in the early property sales on their previous schemes. 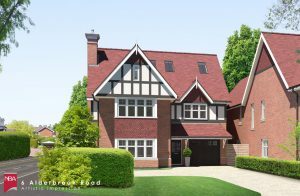 The current opportunity is to invest a total of £620,000 in the development of two large luxury houses, in an established and popular residential road in Solihull – just ten minutes walk from the prosperous town centre and its rail station with links to London and only six miles from Birmingham Airport. Target annualised returns will range between 10.44% and 14.33% for LTV ratios of 52% to 63%. fall in value by 37%. For Layer 1 investors to suffer loss, the value would have to fall by 48% – making for highly attractive risk adjusted returns. The bulk of the finance – £1.345 million for construction works – is being put up by NatWest and the Borrower has substantial “skin in the game” with its cash equity of £540,000. In addition, the boost in site value from the granting of planning permission amounts to at least £200,000. sumption of both being sold at a discount of 15% to value. Even taking this into account, risk ratios remain conservative at 60% LTV for Layer 1 investors and 73% for Layer 2. The site currently accommodates an unoccupied single property in need of substantial renovation, so the proposal is to demolish this and build two very high specification detached houses, on three floors with single integral garages and off-road parking. Investors are invited to offer loans of £5,000 upwards when the bidding opens at noon on Monday 18th March 2019. This is expected to be an extremely popular auction owning to the quality and track record of the developers and the deal itself, so early participation is recommended. Midwood House in Widnes town centre was bought by Osborne House Ltd for cash around three years ago and half the office space converted into 17 apartments to test the local market for short-stay, single tenants (think workers away from home on medium to long-term contracts, looking for a cost-effective alternative to hotels). The results were impressive. It was fully let within 2 months and, after costs and allowances, is yielding a solid annual income of £65,000. The gated apartments, available at an attractive all-inclusive rent of £567 per month, come with secure parking and are within an easy commute of Runcorn, Liverpool and Warrington. As such, they have proven appeal to businesses looking to save on staff accommodation or private individuals working away from home. Having proven the market, OHL are now converting the remaining space into another 17 apartments. This will double the net income to £130,000. Since the property is already generating income with good interest cover and Loan-to-Value levels, this presents a lucrative opportunity for all those who have invested. Investor returns have been pegged in the range 6.9% – 7.5% p.a. over 36 months. Net income from the first phase is sufficient to provide interest cover of 135% – meaning there would have to be a substantial fall-off in demand before interest payments are at risk. Once the refurb of the remainder is complete, the ratios will improve dramatically, with interest cover increasing to 250% and LTV falling from 65% to 35%. Of course, while the ongoing construction still carries a small degree of risk, in this case that risk is mitigated by the appointment of the same contractor as successfully completed the first phase works, along with an independent monitoring surveyor who is under a duty of care to CapitalStackers’ investors. And, of course, income will continue to flow from phase one pending the new units coming on stream. OHL is a highly profitable, conservatively-geared company with gross assets valued at £7.4 million in April 2018. Net worth is around £6.5m. The shareholder directors have been known to the principals of CapitalStackers for over 25 years. For HMRC compliance reasons, this deal is not eligible for pension fund investment. CapitalStackers investors were invited to benefit from the refinancing of a popular ongoing project, which was already at an advanced stage of construction, with practical completion scheduled for May 2019. The original auction for the Boothferry Road development in Hessle, west of Hull city centre, was sold out in 24 hours, with investors bidding returns between 11.07% and 14.45% for Loan-to-Values of 63.3% and 69.8%, respectively. cost inflation for materials and labour. Of course, cost increases are never ideal, but we regarded these as fair. However, the developer wished to access additional working capital and restructure the funding to allow them to expedite the second phase and take advantage of the current, very positive sales momentum. In considering their approval, CapitalStackers’ risk assessors were impressed by the experience of the team (Craig Swales and Steve Vessey Baitson of Applemont), and the high level of reservations on the houses (mainly from first-time buyers with no chain). Applemont is an experienced player in housebuilding and general construction around East Yorkshire and Hull. Their knowledge of the Hull owner occupier market is sound – and clear evidence of this is shown by the keen early sales interest in the Hessle scheme. Eleven reservations have been taken on the fifteen new houses in the first phase and, of these, only one purchaser has a house to sell. Among the initial purchasers are seven first time buyers and six have paid a reservation fee. Six viewings over a recent weekend suggest ongoing demand for the scheme. The agreed sales prices already exceed the Savills valuation by £27,500 and currently stand at £2,057,500 in aggregate. Craig Swales of Applemont said of the new deal, “It’s fantastic for a small developer to have this facility and flexibility. The ability to refinance on the move gives us much-needed agility in a fast-changing world and CapitalStackers make it so easy to adapt our scheme and raise the right money when needed”. Berwyn View – the attractive and rewarding (for CapitalStackers investors) residential development in the pretty Cheshire village of Malpas – is moving forward with investors now funding Phase 2A of the development. Of the eight houses built in Phase 1 of the 22 unit development, five are already sold, two are complete and one is nearing completion (and under offer). Investors received annualised returns of between 10.70% and 15.62% in the nineteen months leading up to the refinance in August 2018. CapitalStackers orchestrated repayment of the first phase by refinancing with the original senior lender, RBS, enabling the developer to stay within RBS’s lending criteria and also free up some capital to start on Phase 2 infrastructure works. To say that the refinancing deal with this very talented developer was popular with investors would be an understatement – the new £810,000 loan for Phase 1B was fully subscribed in just 31 minutes! In parallel, CapitalStackers introduced Hampshire Trust Bank to provide the £1,456,000 senior debt for Phase 2A, and then invited investors to plug the funding gap of £275, 000. Within a Loan-to-Value range of 67% and 73%, these investors can expect returns of between 10.61% and 13.84%. The fallout from Lendy’s reported woes has launched a flotilla of lazy journalism, poorly-informed opinion pieces and Chicken Licken style warnings to investors. Meanwhile, experienced investors in property finance are merely rolling up their sleeves and getting on with business as usual. Risk is part of life. Understanding which risks, how much of each to take and the price you exact for it is how an investor makes money. This much would seem obvious, but not, it seems, to the jittery herd of financial journalists commenting on this particular situation. The spectrum of real estate lending is broad and varied. At one end of the scale we find investment loans, which tend to have strong covenants on long leases and a robust income stream that services the debt. At the other end – bridging loans, which are short term, with repayment coming through either a sale or refinancing following an event such as the granting of planning permission. Generally regarded as the Bellwether of property lending, bridging lenders are usually the first into the market cycle and often the first to drop out. Lending tends to be at credit card rates, since until permission is granted, there are too many unknowns (including the financial cost of any Community Infrastructure Levy or S106 Agreement – the charges that local authorities make on new developments to help fund infrastructure, schools or transport improvements – vital to support new homes and businesses in the area). In between is a vast and multifarious landscape, taking in low-risk borrowers with low risk deals to high risk borrowers with high risk deals. It also – crucially – includes well-run platforms operating in the higher risk space that give plenty of information, have high levels of due diligence and price the risk fairly so that investors can make informed decisions. Somewhere in this Big Country is Lendy, ploughing along in its covered wagon, braving the arrows and potholes as it goes. Lendy recently appealed to the regulator after one of its borrowers threatened to sue. They claimed Lendy failed to give notice on loans and arrange further funds. Concerns were also raised over the fact that £112m of its £180m loan book were at least one day late. As we understand it, this deal was not a bridge but an expensive development facility. Now, to the uninitiated, this will set all sorts of hares running. But those who regularly walk the streets of the bridging world will know that what looks like a situation going wrong is probably expected and planned for. It’s a way of increasing returns – on what, in the US, is often described as “hard money”. With developments, just because a project is taking longer than expected, it doesn’t necessarily mean the deal is deteriorating. Lots of factors determine the progress of construction – some beyond anyone’s control, like weather. But financiers know this, and also that when deals go beyond the due date, the interest continues to accrue. Sensible lenders will also build delays, cost increases and falling values into their sensitivity analysis but still impose a fairly tight schedule on the borrower. Any investor taking part in a deal that is not fully funded at the outset is entirely dependent on new investors coming on board to pay the contractor, without which the project will fail to complete. In our view, certainty of completion is a fundamental prerequisite of any property deal. It’s inconceivable that we would expose our own investors to the risk of a development that may never come to fruition. We have no intention of letting our investors take the liquidity risk when a big, strong bank can take it for them. This is the main reason why we choose to partner with banks as part of our strategic business model. We raise the funds necessary to plug the gap between what the bank will lend and the borrower’s equity. And we make sure that our investors’ funds are deployed after the equity. The banks commit to the finance up front, so we can be sure the funds are in place to finish the job. Certainty. Right there. Locked in before an investor parts with a single penny. And while it follows that this means our investors are not in the First Charge position, they’re certainly rewarded appropriately for their Second Charge position, with the added comfort that comes with the removal of doubt, and the fact that a bank sees the deal as worth investing in. This is the main reason why CapitalStackers’ default rate remains at zero. We always run our financial analysis on the assumption that everything is built out before anticipating any sales revenue after a conservative sales period. That means we get to the end game without having to rely on new funding coming in. We believe that not to do this would be to take an insufficiently conservative view of the world. 1. As we’ve established, our investors are never invited to take part until all funding is in place to complete construction. 2. We don’t move until detailed planning consent is secured. We stick to “Oven-Ready” deals – otherwise the outcome is too opaque. Pointing P2P investors to deals before this point is somewhat irresponsible, unless the risks are made extremely clear, and/or the Loan-to-Value ratios are very low. But even if they were, we just wouldn’t do it anyway. 3. We secure regular information and updates from our borrowers and monitoring surveyors (which is then passed on to our investors). So at all times, the people who fund our projects are fully aware of what risk they’re taking, whether that risk is changing, and what they will earn for taking that risk. So they’re fully informed to take whatever decision they want to take. And if they’re involved in a deal and decide for whatever reason they don’t want to be, they can advertise it on CapitalStackers’ secondary market and seek to recoup their capital. This should all be meat and drink to experienced investors, though. This is how the banks have always done things: information + risk = appetite + return. Of course, there will always be bad deals and bad operators, despite the best efforts of the FCA – it’s a fact of life. But among the rest, it’s a question of assessing the risk, and deciding how much money would make you comfortable enough to take that risk. In other words, there’s no such thing as a bad risk – just ones you’re happy to take, and the ones you’re not. More of the same? Yes, please! A property investment is always more appealing when elements of it have already been tried and tested. That’s what makes Midwood House so attractive. It’s an investment opportunity to expand an already financially proven scheme, promoted by a long-established, profitable development company whose management have dealt with CapitalStackers’ principals for decades. The Loan-to-Value ratio is a trim 38%, which has pegged the return at a very respectable 7.5% – since CapitalStackers will take the position of senior lender and therefore secure first charge on the property. Osborne House Ltd, a conservatively geared property company with a net worth of around £6.5m, originally acquired this former office block with their own cash and converted half the building to 17 en-suite studios. Within a month of completion, it was fully let, reaping a net income of around £65K per annum. The lettings experience to date has produced a strong, reliable income stream and few voids, thanks to the initiative of including energy and Council Tax in the tenancy. This unquestionable success has led to OHL seeking funding from CapitalStackers investors to develop the rest of the building along the same vein – a further 17 studios, taking the total to 34. 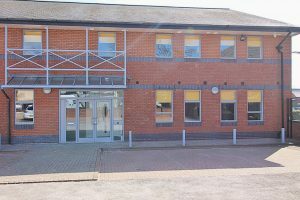 Following an estimated six months refurbishment, the new units will be available to let and are expected to increase net income to £130K per annum. Of course, while construction carries a degree of risk, in this case that risk is mitigated by the appointment of the same contractor as successfully completed the phase 1 works, along with an independent monitoring surveyor who will be under a duty of care to CapitalStackers’ investors. And, of course, income will continue to flow from phase 1 pending the new units coming on stream. Loan investments are invited from £5,000 upwards. We recommend viewing this opportunity as early as possible, since it bears all the hallmarks of being subscribed very quickly. Note: This is a residential investment loan. Consequently, pension fund investment is prohibited by HMRC rules. We asked our investors what they thought of the FCA’s latest proposals to protect them. This is what they said. AltFi wants us to say what we think about tighter regulation – we think it’s more important to say what our customers think. So here’s a follow-up to our blog of 28th September, and in response to this AltFi article on 8th October. The useful and informative AltFi website – fast growing into the oracle of the alternative and digital finance industries – has reproached FinTech companies such as ours for “timidity” in the face of the FCA proposals to tighten regulations – in particular, to limit the amount that “unsophisticated” or first time investors can invest. It says we should have galvanized our investors to sign their ‘Trust the Investor’ petition. Perhaps so, but it’s not a good look for an industry to cry “foul” at the first signs of a professional framework being put in place. Responsible platforms, who are meticulous in the way they conduct business on behalf of their investors, should welcome regulation that brings the less stringent operators up to their own standards. We’d rather the playing field was levelled from the top, because improving practices (and the resultant public perceptions of our industry) benefits all of us. Rogue operators benefit no-one, and they should be forced to pull up their socks or bow out. So we didn’t feel it our place to take umbrage at the proposals. Our opinion is hardly relevant. What is relevant, however, is the opinion of those who invest their hard-earned nest eggs into platforms such as ours. Do they feel their money is secure? Do they feel they’re fully informed of the risk involved? Are they sufficiently updated? And – most important of all – do they feel the need for the FCA to further protect them against P2P practices? This, we felt, was an ideal opportunity to canvass the opinions of CapitalStackers investors. How do they feel we’re doing, and do they want for more tightening? It appears not. We were pleased to see that our investors gave us an average score of 9 out of 10 when asked to rate the information we provide, our risk assessment, due diligence and our clarity and transparency. Our risk management deal pricing and general security were scored at an average of 8.5. However, when asked to what extent they would welcome the FCA limiting the amount they could invest, the score came in at an average of 2.5. But it’s not for us to put words into our investors’ mouths. We’ll let them tell you what they think of us in their own words. I totally oppose the FCA limiting the amount that anyone can place with CapitalStackers without taking the advice of an IFA….The fact here is that CapitalStackers carries out due diligence on all projects handled, and only when satisfied with the outcome of same, then moves a deal forward providing detailed information to its investors. I think CapitalStackers explain the risks and rewards well. There is no requirement for the FCA to become too involved. I trust CapitalStackers to invest wisely. I think the website could be made slightly more user friendly and make it easier to find important information, perhaps a side bar explaining each area and how to locate that info. As regards the FCA limiting the amount people can invest, that must depend on how sophisticated each investor is and whether they fully understand the risks involved. In that respect, perhaps there should be some examples of what can go wrong with a property loan and a worst case scenario potential loss situation. If the FCA does decide to limit the amount people can invest, 10% is too low. 20% or 25% would be better. However, as a sophisticated investor, I have been cautious anyway and not invested more than 10% of my portfolio. Once the channel and Capitalstackers have proved themselves and loans have been repaid with the agreed interest, I will invest a greater proportion of my portfolio, though still maintaining a good mix of asset classes. I would not describe myself as a sophisticated investor, but I always believed that the whole point of peer to peer investments was that it enabled people like me to participate in investing directly compared to other types of investment from which we are excluded. I started investing in peer to peer about 12 months ago and I have been pleased with the outcome so far. I had absolutely no previous knowledge or understanding and carried out my own research before committing any money to investments on peer to peer platforms. I avoid any platforms that do not appear transparent or are too complicated to understand. I am capable of making my own judgement on this and do not need the government to take control of my investment decisions. I should add that in spite of the fact that my knowledge and understanding has been acquired through my own research and I am definitely NOT a professional or even greatly experienced at investing – the ONLY time I have ever lost money was by following the advice of a financial adviser. Since that time I have ‘gone it alone’ and over the past few years I have successfully increased my capital through investments that have been entirely my own choice. I invest with confidence in CapitalStackers. They have a very experienced team in both finance and building development. As they are very selective in their choice of investment deals and, from my own experience, I’ve found CapitalStackers to be meticulous and diligent, I would not agree with limiting the amount one can invest. It should be a personal choice. As an experienced investor and owner of a commercial property portfolio [I am] very comfortable with proportionate risk and due diligence by CapitalStackers. The individuals involved in CapitalStackers have my complete confidence and for that reason I am happy to keep investing. I think the FCA should spend time checking that p2p websites are providing transparent and accurate deal information so that investors can make properly informed decisions, rather than trying to dictate what people invest in them. This type of funding seems very transparent and well explained compared to others. Most investments carry risk and an individual has to take responsibility for his/her decision. I know what I am doing and don’t need to be nanny-ed by an organisation that was unable to spot the last financial crash. It’s not up to the FCA to determine what clients do with THEIR money. All they should be doing is providing the right framework, governance and controls. I like the CapitalStackers model as second charge funding for developers, alongside (though behind) mainstream lenders. The info available is very extensive & thorough. Actually, I would like to invest MORE in CapitalStackers, but opportunities are few and far between and often fill quickly – literally sometimes within minutes of release. Restricting P2P access for retail investors strikes at the heart of the concept of the innovation of a market by the people for the people. FCA role should be to police the platforms to ensure high standards and enable market choice for investors. As usual the controlling body, rather than addressing the real issue, is trying to abdicate responsibility by yet more layers of bureaucracy. The best way for the FCA to protect the investor is to investigate the poorly operated providers and apply severe sanctions and penalties and, where necessary, withdraw authorisation. It is the responsibility of the FCA to do this, not restrict the investment options of individuals in a free market economy. If the FCA had confidence in their own regulatory regime and their policing of the businesses falling within it, a more obvious methodology to protect smaller investors would be to extend the financial compensation scheme to cover this sector. Assuming this is done at the same time as policing the whole sector effectively and weeding out the providers who fail in the Financial Times article this would reduce the risk to smaller investors at the same time as boosting the businesses who are operating as responsibly in this sector as any other mainstream investment falling within the FC scheme. Limiting the amount invested by regulation is unnecessary. The advice currently given, (10% until familiar) is sufficient. I’m more than happy to invest my money through Capitalstackers. The information they provide me allows me to assess the risks as thoroughly as possible. Armed with such information it is up to me whether I invest or not. It is also up to me how much I invest. It is my responsibility and the buck stops with me. The FCA should ensure points 1 to 4 of the blog are met by all P2P platforms. CapitalStackers is a very highly professional p2p platform and by investing in construction loans, I know the associated risks which are also explained on the platform. CapitalStackers’ risk assessment allows me to choose between loans by having the relevant and detailed information about them. Returns are high but CapitalStackers provide a very detailed illustration about the investments’ features and the entailed risks. There are only two things I complain about: the first is the limited numbers of available loans and the second is the entry level of £5000. I would prefer £1000 in order to have a better diversification. The detail of your dealing room is exceptional. There is a learning process to understand the CapitalStackers offering but once understood it is, in my experience as a lender, excellent. Regular updates provide clarity and reassurance, very detailed information provided. What will the FCA’s P2P shake-up proposals mean for CapitalStackers investors? Any responsible lending platform should have nothing to fear from tighter regulation aimed at further protecting investors. Having said that, a truly responsible platform will already be working to maintain standards well above those imposed by regulation. So as the P2P industry digests the long-awaited proposals on its new marketing and disclosure rules, we thought we’d examine what differences they will make for those involved in CapitalStackers’ unique brand of loan-based crowdfunding to property developers. Working through the five key points raised by the Financial Times it seems life won’t be too different. Let’s take the points one by one. The FCA voiced concern that many P2P platforms tended to run overly complex business models, often choosing and managing investors’ portfolios for them in order to achieve a target return. They expressed unease about the mismatch of expectations between what the investors think they’re getting, and what they’re actually getting. With CapitalStackers, this has not been a problem because we don’t do pooled lending. Our risk assessors examine the fine details and set a fair and transparent rate for the risk involved on each deal. Investors can see clearly what deal they are investing into, what risk they’re taking and choose the return figure to suit their own particular appetite. The FCA has said that some platforms fail to communicate clearly to investors the true nature and risk of the investment they will be exposed to. In some instances, the management of risk could be improved – and it was not made clear that the interest paid by the borrower to the investor was linked to the credit risk. With CapitalStackers, the very highest standards of risk monitoring and management are maintained throughout the deal right up to the point of repayment. As far as risk pricing is concerned, this is made crystal clear. The loan to value ratio is always shown alongside the rate of return and investors pretty much know the borrower’s inside leg measurement, so assiduous are the risk assessments. Given that CapitalStackers almost always arranges loans in collaboration with a high street or challenger bank, investors might be forgiven for thinking that we would be satisfied by the bank’s due diligence work. In fact, the opposite is true and our risk assessment and the way we report is much more stringent given we are usually at higher loan to value ratios. Our retail investors are important to us and we strive to protect their interests. The FCA also stipulated that P2P platforms offering a target rate of return must be able to determine with reasonable confidence that this return is achievable. Granted, this can be pretty opaque in the context of pooled lending. However, it’s much easier to achieve on a direct lending model like CapitalStackers, where we always provide a comprehensive appraisal detailing the risk and reward specific to each and every investment. The FCA highlighted that in general, P2P loans are unsecured and that investors’ ability to exit the agreements is not assured. With CapitalStackers, all loans are secured on the property being built. The bank naturally holds the first charge and CapitalStackers Trustees hold the second charge on behalf of our investors. Furthermore, the developer must inject cash equity commensurate with the risk involved – usually around 10% of costs. We also insist on an appropriate cost contingency in the development appraisal. Which, when you take into account the development profit in a deal, means a lot has to go wrong – and we mean a lot – before investors’ capital is at stake. Exiting a loan is always going to depend on other investors having the appetite to take you out and that can never be guaranteed. However, for those few investors who have sought to exit early, all have quickly sold-on their participations, recouping capital, interest and in most cases a profit. Finally, the FCA stated that they will require investors to self-certify as Sophisticated or High Net Worth investors, or to take advice from an IFA, or to undertake not to invest more than ten per cent of their net portfolio in P2P assets the first time they invest. Of course, we’d be the first to admit that any P2P investment should be undertaken by those who know what they’re doing. We take great pains to explain to any CapitalStackers investor what they can expect and not expect, and it seems reasonable to us that people don’t invest more than 10% until the platform has proved itself to them. However, we should point out that the likelihood of investing in P2P through an IFA is slim, since most IFAs and wealth managers choose not to advise on this nascent asset class. So, as an investor in CapitalStackers, you might wonder what all the fuss is about. The protections and transparencies which the FCA seeks to impose have been part of investment life for you since the start. But we’d be interested to hear your views on everything you’ve read, since the FCA is inviting responses to its proposals before the 27th October. For instance, if you don’t qualify as High Net Worth or Sophisticated, do you agree with the proposal to initially limit what you are allowed to do in this space until you find your feet? Or do you feel that this is an inappropriate imposition and a step too far? In terms of crowdfunding to the small building sector, this type of investment has been the salvation of many a business and led to many schemes being built out which had laid dormant since the banking crisis. So perhaps you may feel that rather than limiting what a small lender can do, the FCA should point its big guns at those P2P platforms which fall short of what’s required and force them to raise their standards. Now is the time to have your say. CapitalStackers is run for its investors, so if you have a view, we will certainly include it in our response. Please do email us at: info@capitalstackers.com. We look forward to hearing from you. £400,000 was raised in just one hour to help fund a bucolic waterside development of 22 houses in the pretty Yorkshire market town of Thorne, within a 45 minute commute of Leeds, Hull and Sheffield. CapitalStackers investors stand to make annualised returns of between 10.28% and 12.92% against Loan to Value ratios of 51.1% and 54.4% respectively. The development has attracted senior funding of £3,386,050 from United Trust Bank. The developer, SPG Property Services Ltd, has introduced the entire site as security, which has outline planning consent for a further 57 houses, in addition to the 22 being built in phase one. 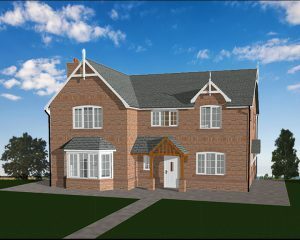 The scheme has been well-planned and priced by this experienced developer of 15 years standing. The picturesque setting of Thorne, known locally as “Little Holland” has two railway stations, excellent motorway connections, good schools, sports clubs, shops and a decent range of pubs – factors which will account for the fact that 13 of the 22 houses have already been reserved and the agents have received over 100 enquiries before the marketing has been fully launched. Phase one is a mix of 3, 4 and 5 bedroom houses, plus two bungalows, each with a parking space and all priced between £135,000 and £250,000. CapitalStackers’ due diligence presented the investors with a comprehensive analysis of risks, mitigants and sensitivities. Investors can expect to be paid out by November 2019. How about something more interesting than flat returns? CapitalStackers investors can look forward to a return of up to 14% from a development of nine luxury flats in an established and popular residential road in Solihull. The project is the latest scheme by Avalanche Capital – the successful team that some will remember repaid investors early when their spacious Chessets Wood dwellings were built and sold ahead of schedule in December last year, paying annualised returns of between 9.8% and 13.8% after just 7 months. 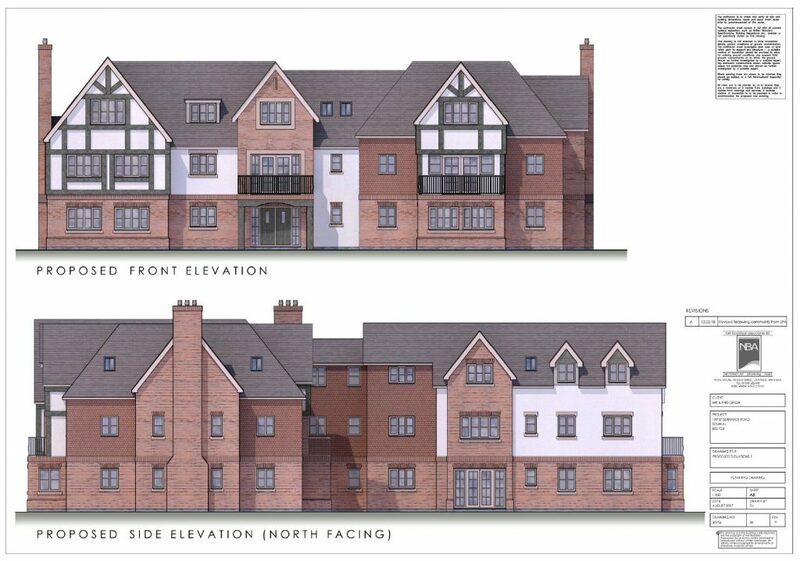 This latest scheme is to be built on the site of a large, unoccupied dwelling which will be demolished to make way for spacious, well appointed 2 & 3 bedroom apartments ranged over three floors. The construction finance of £2,025, 000 is being provided by NatWest and the developers are contributing £900,000 of their own funds, leaving a crowdfunding opportunity for CapitalStackers investors to raise £930,000. Investment bids are invited from as little as £5,000. “Excellent” levels of profit are expected – the site has already seen a substantial rise in value following planning permission, and confidence is further enhanced by the appointment of John Shepherd Estate Agents (who have previously sold Avalanche developments at better than appraised values) as the selling agents. We have adopted a conservative figure of £5.8m pending formal valuation, which results in a respectable Loan-to-Value ratio of 55%. It’s worth noting the agent anticipates selling for around £6.3m. Given the above factors, investor demand will be extremely high when bidding opens at noon on Tuesday 10th April – so if this sounds like the right sort of investment for you, please don’t miss out. So that you’re ready to invest when the auction goes live, if you’re an existing member, you can familiarise yourself with the details of the deal now by clicking here. If you don’t yet have an account, you can sign up here.